March | 2014 | What Next? 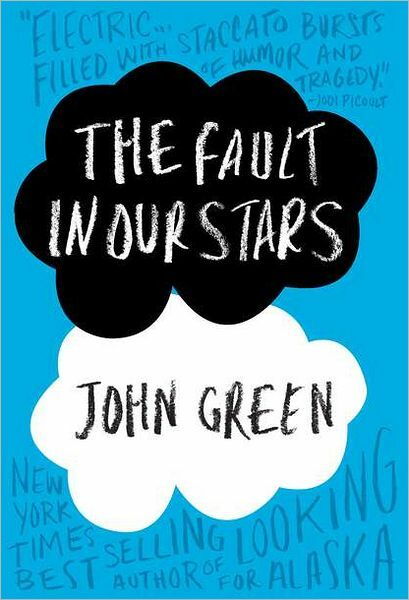 Why has teen fiction become so popular with adults? That’s a question being explored in the publishing world. 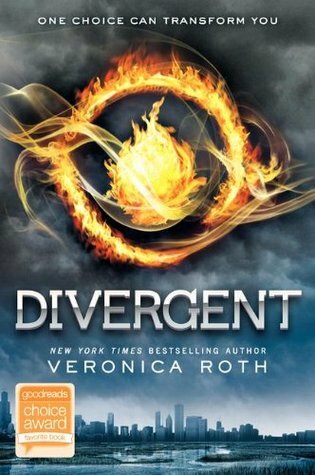 Teen fiction is no longer marketed strictly to teens because so many adults are reading books originally aimed at a younger audience. Novels from series like Harry Potter, Diveregent and The Hunger Games are as likely to be found in the hands of adults as those of adolescents. Some adults like the way teen books take them back to an earlier period in their life when they were open to trying new things and seeing every experience in an exciting light. They appreciate the less cynical tone of teen books, the feeling of hope they get from many of them. I notice there are more female writers in the teen genre and as a feminist I appreciate that. Of course some cynical critics claim adults read teen novels because people aren’t as well educated or intelligent as they used to be. Many teachers and parents of teenagers say they start exploring the genre to find out what their kids are reading and end up getting hooked. I know that was the case for me. I assigned my high school students independent reading projects and had one- on- one conferences with them about the books they chose. Their enthusiasm for authors like John Green, Stephenie Meyer and Stephen Chbosky got me reading their books. Now I’m reading teen novels because I want to try writing one myself. I’m finding that teen authors are more likely to break the rules of established literary technique and that makes them exciting. They choose unorthodox narrators. 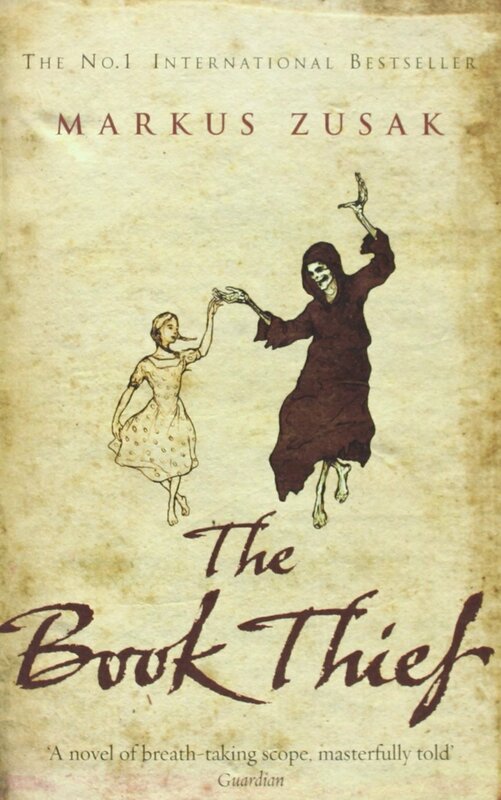 The Book Thief, a novel about a teenage girl in Nazi Germany is narrated by Death. The Curious Incident of the Dog in the Night Time is a murder mystery narrated by an autistic teenage boy. Wonder, is narrated by a terribly disfigured young man whose parents decide to quit teaching him at home and send him to school. Another unorthodox practice used in teen books is that they often include drawings or photographs. Miss Peregrine’s Home for Peculiar Children has vintage photos of the characters. Diary of a Wimpy Kid is illustrated with simple sketches that bring the text to life. Arnold the narrator of the best selling teen book The Absolutely True Diary of A Part Time Indian is a brilliant cartoonist and the novel is peppered with his humorous visual reflections on his dramatic life. Although there are certainly plenty of adults today reading teen fiction it is hardly as new a phenomena as many book bloggers, reviewers and columnists seem to think. 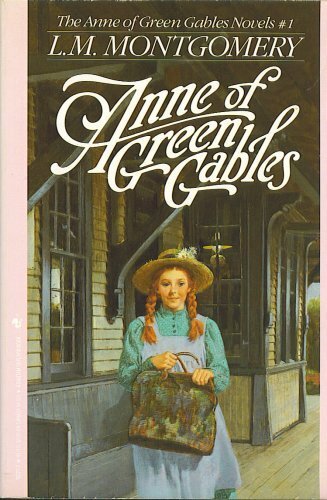 Little Women and Anne of Green Gables were written for young girls but have become beloved novels for all ages. 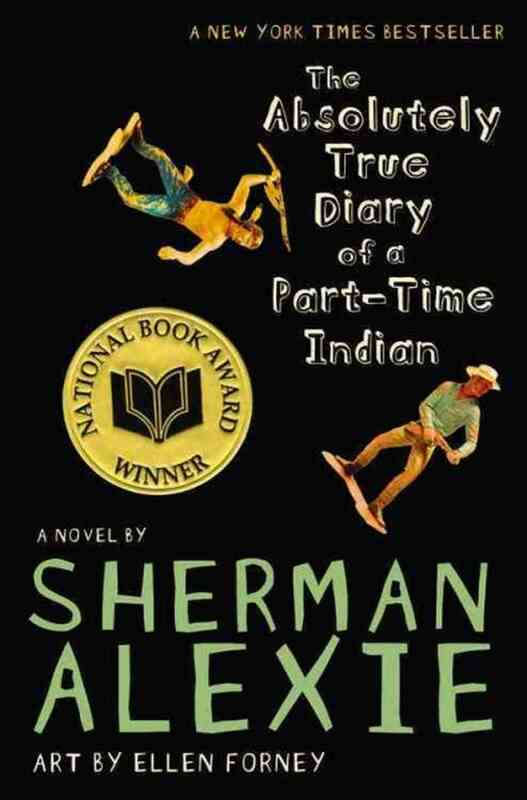 Books like Catcher in The Rye, Lord of the Flies and Huck Finn are all about teenagers coming of age yet have become classics for readers young and old. If you’re looking for a new novel and have never checked the teen or young adult bestseller list I’d highly recommend you give it a try. Because the truth is a good book is a good book no matter what age of audience the writer had in mind. What Makes A Successful Teen Novel? 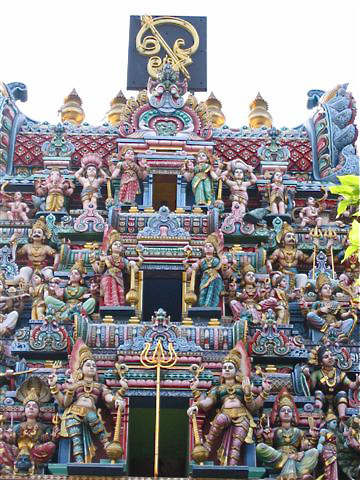 When we toured the Little India section of Singapore I took a photo of this Hindu temple whose roof and entrance were lavishly decorated with numerous colorful carved deities. I was told these gods were placed on the outside of the temple because people of lower caste were not allowed inside. Having the gods on the exterior made it possible for those of inferior social station to worship from a distance. Most churches have had a time in their history when they have forced some people to worship God from without, rather than from within. 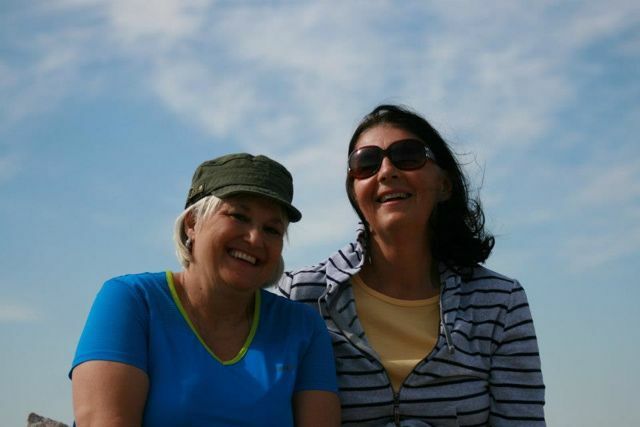 There are still many religious institutions and churches that restrict or forbid certain groups from participating fully and equally in the life of their faith community because of their gender, sexual orientation, social class, skin color or age. Will there ever be at time when the doors of every place of worship will be open to everyone in every sense of the word? We went to the Cannes Lions International Festival of Creativity Advertising winners film at the Winnipeg Art Gallery. My favorite ad was this one about an ape who uses white paint to turn himself into a panda. Click here to see the ad. The premise of the ad is that pandas have such a high-profile and are so cute that more people donate money to save them than they do for animals that need rescuing just as desperately but don’t have the public image or cute appeal of pandas. This is something that happens in the area of medical research donations as well. Things like breast cancer with its pink ribbon campaign and prostate cancer with its Movember campaign raise lots of money and that’s great! But what about diseases with a lower public profile and less effective ad campaigns? The ape/panda ad motivated me to think carefully about where I give charitable donations. Other posts about television advertising……..
Winnipeg Free Press columnist Dan Lett was the keynote speaker at a conference I attended last week. His topic was The State of Traditional News Media. Lett’s audience was primarily writers, journalism students and communications or public relations officers for businesses and charities. He began by asking us some questions. Nearly everyone in the room raised their hand. Only a handful of people raised their hands. Most of the audience put up their hands. Only a couple people raised their hands. According to Lett 2008 was the turning point when more people in North America began to get their news for free rather than paying for it. By 2013 more than a third of adults had abandoned newspapers entirely, not even reading them for free. Because newspapers have lost customers they have had to cut staff. Lett told us the New York Times has cut their newsroom staff in half in recent years. With fewer journalists, newspapers can no longer research original stories or do in-depth reporting. Perhaps this is why 40% of all news is about weather, sports and traffic and why most online news sites like the Huffington Post simply copy stories they have bought or taken from newspapers, radio and television news sources. Lett cited many facts from the Pew Research 2013 State of the Media report that found among other things that newspaper advertising is down by 45% from what it was in 2006. The largest age group still reading a print version newspaper is 65 and over. Some daily papers have gone to publishing only three times a week. Listening to Lett share those statistics was sobering for the audience especially since some of his listeners earned at least part of their income from traditional print media. It got me wondering about how much longer I might still have my assignment as a newspaper columnist. My sister-in-law Linda is a terrific cook and every week she posts all these wonderful recipes on Facebook. I always look at them and think, “I need to try that.” But of course I never do. Linda runs her own restaurant and is famous for her skill in the kitchen. One of my retirement goals was to become a better cook and so far I’ve done nothing to achieve that goal. I’ve decided one way to keep myself accountable is by trying one of Linda’s recipes every week and posting my results here on the blog. After using the first recipe I’ve realized I’ll probably need to do plenty of adapting because of what I’m capable of doing and what’s in my kitchen. So if you try one of these recipes and it doesn’t turn out it’s probably my fault. Here’s my first attempt Lasagna Soup. Chop up about a third of a big onion. Put it in your crock pot. Add a jar of spaghetti sauce. And a can of tomatoes. There was about a cup of white wine still in a bottle on the counter so I put that in too. Sprinkle in some parsley, basil, garlic salt and oregano. Two chicken and two beef bouillon cubes and four cups of water go in next. Break up eight lasagna noodles into small pieces and add them to the crock pot. Crumble up a pound of extra lean hamburger and place on top. Cook on low for seven hours.A half hour before serving add a cup of fat free cottage cheese and a cup of crumbled light feta cheese. Just before serving sprinkle with grated Tex Mex cheese. I served it with a corn, avocado and cherry tomato salad. Super Foods. What Are They? I kept 8 pound dumbells in the car on our recent driving vacation in Florida. That way they were handy for spur of the moment workouts. One morning my husband Dave was getting a golf club repaired in a store in a strip mall in Crystal River Florida. It was taking quite a while so I stepped out of the car and started doing my weight routine. When I looked up two white haired gentlemen in a barbershop beside the golf store were standing in the window looking out at me with big grins on their faces. They were imitating my motions moving their arms up and down and side to side with me as did my weight workout. I laughed and waved and they waved back. 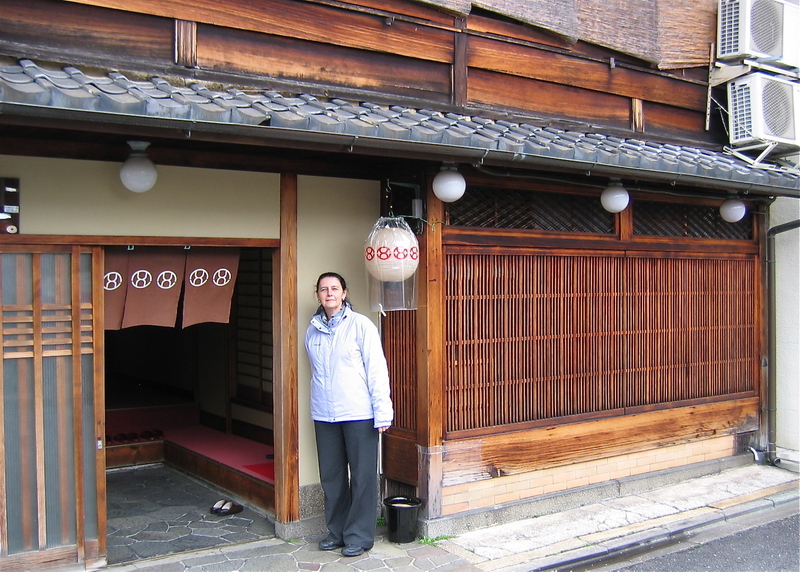 A friend who is visiting Japan and posting pictures on Facebook made me think of my first visit to the country and all the things that surprised me about it. Taxi drivers wear black suits and white gloves. The fact that Japanese cab operators dress very formally was just one of the unique and surprising things I learned about the country of Japan when we visited. Whether we were in Kyoto, Hiroshima or Osaka taxi drivers wore white shirts, dark ties, business suits and snug white gloves. 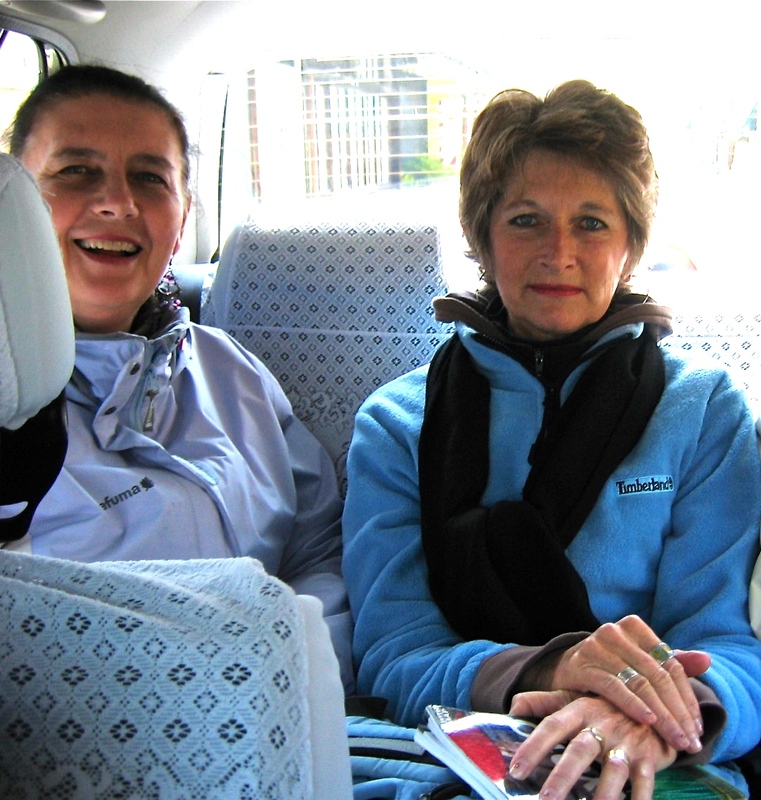 Even more intriguing was the fact that the seats of every taxi were covered with white lace. The headrests and seat backs were adorned with spotless ‘doily-like’ material. There was never a stain or a mark on the fabric. How could the drivers ferry customers around all day and keep their cabs so impeccably clean? It was a mystery to me. 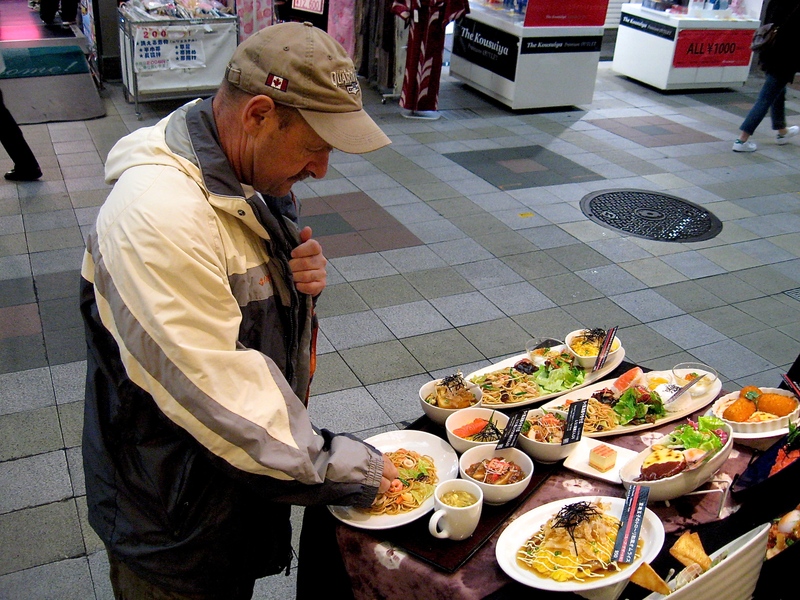 Another intriguing thing about Japan was the plastic food. Every restaurant displayed colorful plastic versions of the dishes they sold. These were attractively arranged in cases or on tables in front of their establishments. I was curious to find out how these ‘plastic versions’ were made. I found out they are created by ‘food artists’ who look at photographs of the original food. They dip some of the actual items in silicon and then carefully arrange them on a plate adding artistic details till the plastic model looks exactly like the actual dish. Apparently Japanese food replica artists train for two years to perfect their craft and charge up to $100 Canadian for one of their creations. “Take your shoes off.” Of course I’d seen old movies about Japan where people removed their shoes before entering a home but I thought that was a traditional custom from the past. No way! 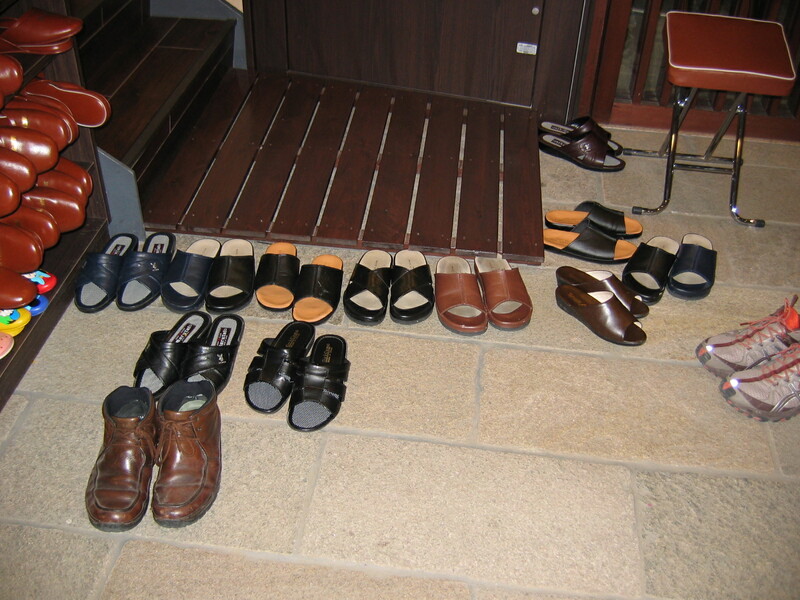 At the hotels we stayed at in Japan we were required to leave our shoes at the door. Granted, slippers were provided for those who didn’t want to walk around in stocking feet but no street shoes were allowed. This was also the case in some of the museums and tourist attractions we visited. I’d read the book Memoirs of a Geisha before visiting Japan but I thought geishas no longer practiced their profession. I was wrong. According to the guide on a walking tour I took of Kyoto there are still a small number of geishas. Our guide pointed out the special symbol on certain teahouses that signified they were licensed by the civic government to serve as geisha establishments. Apparently there aren’t many geishas left since few young women are willing to devote themselves to the years of practice it takes to learn to perform the dances, play the musical instruments, read and understand the literature and poetry and carry out the lengthy tea ceremonies geishas must master. 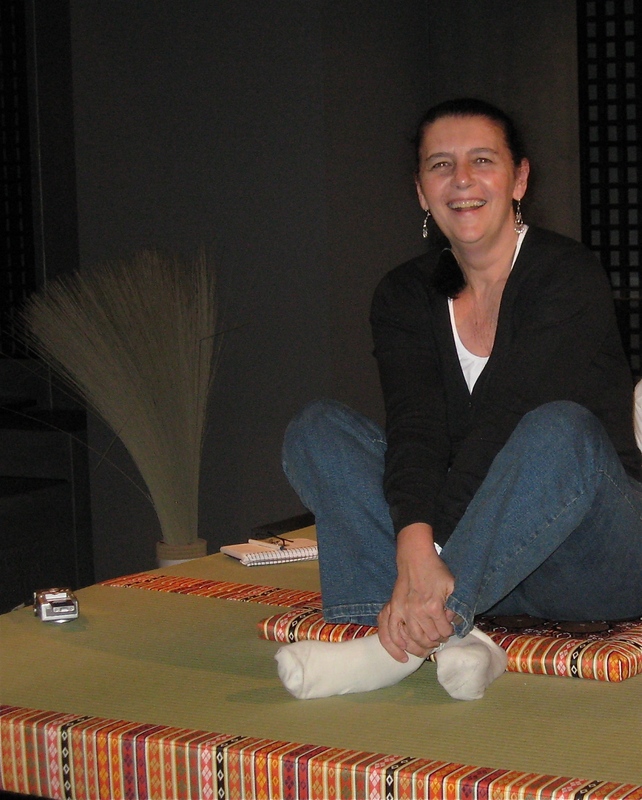 Also the older women skilled at these things are dying and there are no new geishas to take their places as teachers. 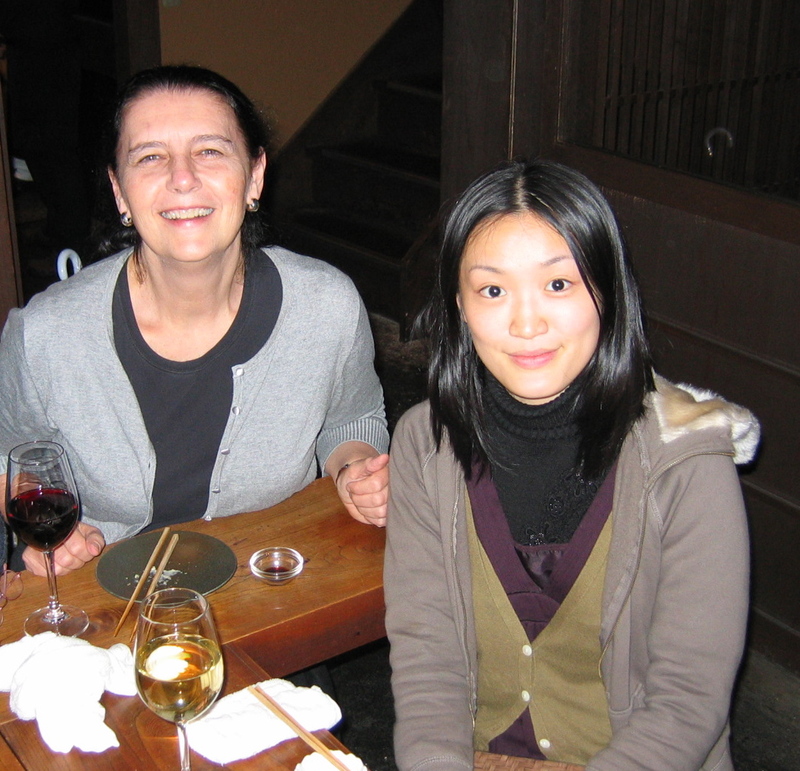 The most memorable thing about Japan however was how thoughtful people were. 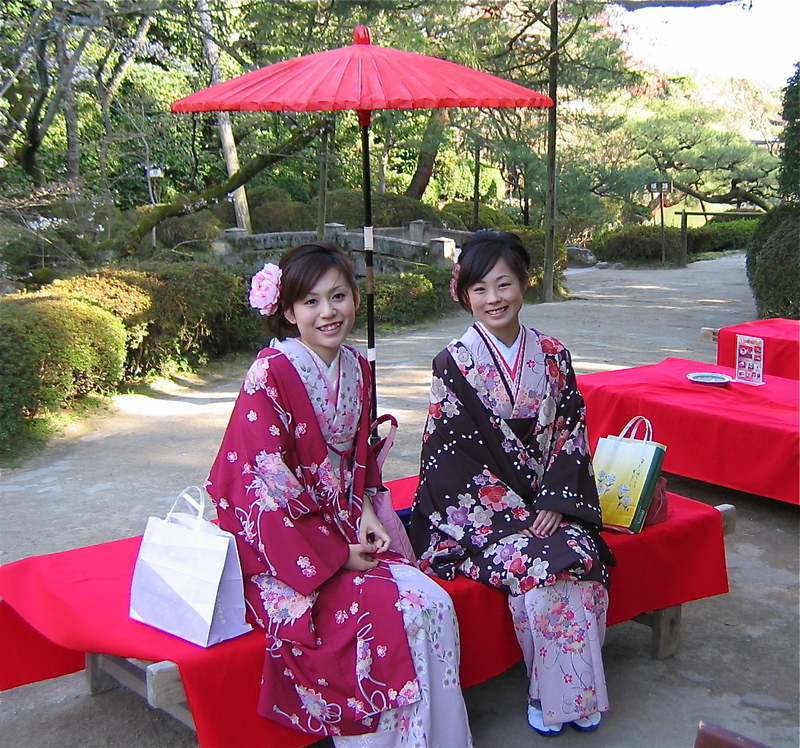 Women in kimonos happily posed for pictures with tourists. If a waitress made a mistake she’d apologize profusely. We got lost our first day in Hiroshima. We asked the owner of a camera shop for directions. He put the CLOSED sign in his window and left his store to walk us to our destination. As we left our hotel in Kyoto the owner stood at the door to personally say good-bye and give us a small parting gift. People couldn’t have been more helpful and polite. I learned many interesting things about the country of Japan. I may forget some of them, but I will remember the polite and kind reception I received everywhere I went.